Looks like a political hit piece to me. 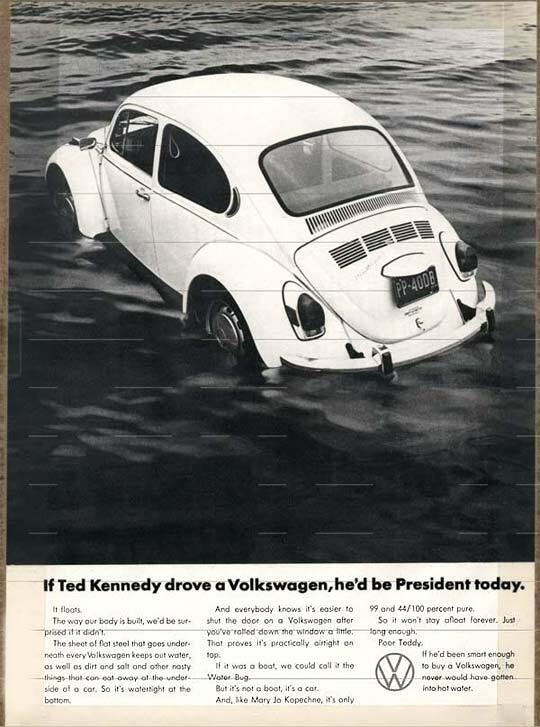 New movie, "Chappaquiddick" about Ted Kennedy's car accident. The primitives are too despondent to even reply. Looks like a political hit piece to me = primitive is worried that this movie is going to tell the truth about Ted Kennedy and the Chappaquiddick incident. Bruce Dern and Clancy Brown are a couple of the stars that are in the movie. They are bona fide Hollywood movie actors so this must be a real Hollywood movie. I'll have to see it to believe it but it looks pretty damning on the face of it. Somebody pinch me, I must be dreaming. There is talk of Al Franken and John Conyers being run out of Washington and Hollywood is making a movie about the Chappaquiddick incident. Hit piece? Jeez, "Lord" Teddy was a "lion" of the Senate. Everyone knew about his indiscretions. Not a hit piece if it is factual. Hope you miserable DUmmies have a fun Thanksgiving transferring your disdain for President Trump the next few days. And for that matter, years. We will laugh AT you. And vote against your crazy ideas. Mary Jo: "Teddy, I'm pregnant." Ted: "We'll cross that bridge when we come to it." Hit piece? Like for an election a week or two away? Teddy's dead. He's been on the infernal rotisserie so long he's well done. There are a few conservatives and libertarians in Hollyweird, but most have to keep their heads low. This looks more part of Progs' recent spate of very belated truth-telling that may be setting the scene for a War On Women 2.0 narrative for the 2018 and 2020 elections. Enjoy Progs' pain at the admissions. Call out those making the admissions for their past defenses of the horndogs and extremely belated admissions of grossly obvious facts. Be prepared to rub their noses in the difference between accusation and evidence-supported fact. Borrowing the slogan from a trail race organizer company, Have fun out there! Do those on Suicide Watch duty get popcorn? Lo and behold, finally a reply. But with only 28 posts it's got to be one of you guys. 1. Considering the timing, it probably is. Chappaquiddick was the deflection issue during the growing investigation of then president Nixon. Nixon used the incident to distract people from his problems and now Trump is using the movie about the incident as a distraction from his problems. SUMBODIE has a strange way of defining "derailing a political career". The man had the IQ of a booger,and yet he was one of the most powerful politicians in the country for decades. The day the SOB died SHOULD be celebrated as a National Holiday,yet he is still a hero to shitheads everywhere. Exactly. There is even a well-known story of Fat Teddy having sexual relations with a waitress under the table in a DC restaurant,with multiple witnesses. It was even reported in the press,and it didn't hurt that "champion of "poor swimmer" women's rights" at all. Poor Kate Mara. Another role with her character's untimely death by the hands of a politician for the sake of self-preservation. What "growing investigation"? Name it, primitive. If anyone caught a lucky break, it was drunken Teddy who had the news of his murder of Mary Jo swept off the front page by the first moon landing a few days later. If you have to call the truth a "hit piece" it MIGHT be the sign that you are on the wrong side of things. Just sayin'. Ted Kennedy's car has killed more people than my guns! Considering that Teddy killed Mary Jo in 1969, just 6 months into Nixon's first term, and the Watergate break-in happened in 1972, the post has an anachronism problem. Only if they finally do off themselves. Then the popcorn and beer are on me. Stolen as a tag line here and TOS! !